Would you like to reduce the cost of manufacturing your complex mechanical systems? Do you have orders for machines you cannot deliver? Do you need a partner to machine & assemble your precision component? Having problems manufacturing a complex fabrication? Do you design proprietary production equipment? 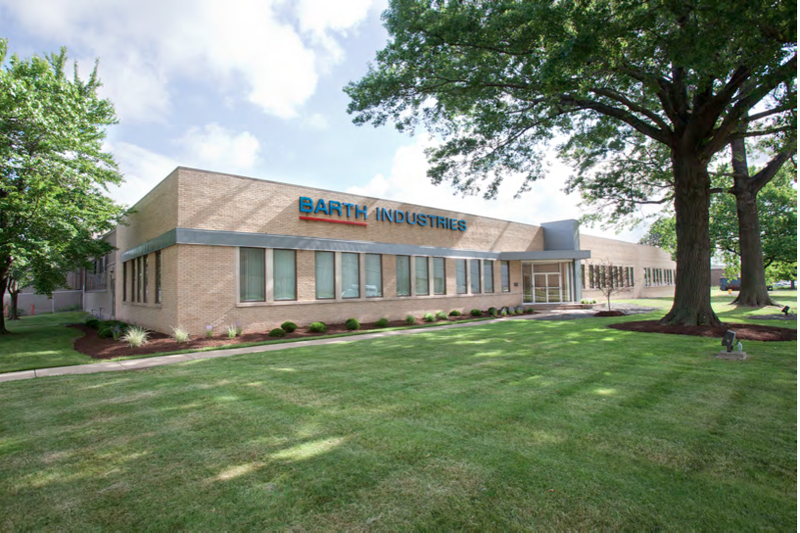 Barth has been a partner for 100 years with just-in-time delivery of quality production parts and assemblies. Our 125,000 square feet of facility space includes machining and assembly operations ready to manufacture everything from parts to entire manufacturing lines. In fact, our overhead high-bay capacity offers the opportunity to handle even the largest jobs with ease. The manufacturing area of over 60,000 square feet houses broad machining capabilities. We maintain cost control with a variety of lathes, machining centers, boring mills and grinding machines. Our state-of-the-art CNC machines and secondary support assures you the most efficient and cost-effective production for your parts and assemblies. With this broad range of manufacturing capabilities, your most efficient means to full-volume begins with Barth. Barth Industries © 2019. All Rights Reserved.